Since 1996, Marrin Weejali has been providing alcohol and other drug services to Aboriginal and Torres Strait Islander people and to non-Indigenous clients living in the Sydney metropolitan area, and to people visiting from the country. 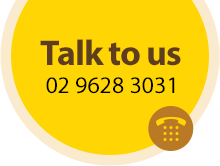 The vast majority of our clients, though, live in Western and South-Western Sydney. Our model of service is based upon a spiritual and cultural healing approach. Our services are free of charge. Clients can either refer themselves (either by telephone or walk-in), or be referred by an agency (e.g. a GP, the justice system, DoCS, community agencies). Compassion for suffering and loss. Marrin Weejali is an Aboriginal community-controlled organisation, governed by a Board of Directors strongly connected with our community. Marrin Weejali belongs to the community, and the well-being of our people is the reason for everything we do. As our service has developed, we have remained focused on our core business: to provide alcohol and other drug services to our community. Now, though, we are able to meet the holistic needs of our clients, their families and the broader community through our formal partnerships and informal collaborations with a wide range of service providers who deliver services from our centre in an environment of culturally safety. We gratefully acknowledge the funding provided by the Office for Aboriginal and Torres Strait Islander Health, within the Commonwealth Department of Health and Ageing, which enables us to provide services to the community.